The dollar slid against a basket of the other major currencies on Friday as weaker-than-expected U.S. inflation data tempered expectations for a third interest rate hike by the Federal Reserve this year. A Labor Department report showed that U.S. consumer prices edged up 0.1% in July from the prior month, below the 0.2% increase forecast by economists. The data was the latest in a string of weak inflation readings that investors worry will make the Fed more cautious about plans to raise interest rates again this year. Expectations that rates will remain lower tend to weigh on the dollar by making U.S. assets less attractive to yield-seeking investors. The U.S. dollar index, which measures the greenback’s strength against a trade-weighted basket of six major currencies, was down 0.33% at 92.99 late Friday. For the week the index shed 0.49%. The yen and the Swiss franc posted large gains against the dollar for the week, rising 1.47% and 1.14% respectively as heightened tensions between the U.S. and North Korea sparked a flight to safety. The currencies are often sought in times of geopolitical tension or market turbulence because both countries have large current account surpluses. In the coming week, Wednesday’s minutes of the Fed’s latest meeting will be in focus as investors look for more hints on the timing of the next U.S. rate hike. A report on U.S. retail sales will also be closely watched. Elsewhere, UK data on inflation and employment will be in the spotlight amid ongoing concerns over the economic fallout from Brexit. U.S. consumer prices rose slightly in July as higher food costs were partly offset by falling prices for a range of other goods, suggesting benign inflation that could persuade a cautious Federal Reserve to delay raising interest rates until December. But with the labor market near full employment and economic growth accelerating, analysts expect the U.S. central bank will announce a plan to start unwinding its massive bond portfolio at its policy meeting next month. The Labor Department said on Friday its Consumer Price Index edged up 0.1 percent last month after being unchanged in June. That lifted the year-on-year increase in the CPI to 1.7 percent from 1.6 percent in June. The so-called core CPI rose 1.7 percent in the 12 months through July and has now increased by that margin for three consecutive months. Despite the modest gain in consumer prices, which came on the heels of a drop in producer prices in July, many economists continue to share the Fed's conviction that transitory factors were holding back inflation. Fed Chair Janet Yellen told lawmakers last month that "some special factors," including prices for mobile phone plans and prescription drugs, were partly responsible for the low inflation readings. Mobile phone prices continued to decline in July, falling 0.3 percent. Prices of U.S. government debt initially rose on the inflation data, but pared gains after Russian Foreign Minster Sergei Lavrov said there was a Russian-Chinese plan to defuse tensions between the United States and North Korea. The Fed is expected to outline a program to start offloading its $4.2 trillion portfolio of Treasury bonds and mortgage-backed securities at its Sept. 19-20 policy meeting. It is expected to raise interest rates in December, though such a move would depend on future inflation data. The Fed has raised borrowing costs twice this year. Oil prices settled higher on Friday, but still ended the week with a loss amid lingering concerns over a global supply glut. Aside from supply and demand, investors also closely followed developments in the U.S.-North Korea standoff. The International Energy Agency said OPEC's compliance with the cuts had fallen to 75% last month, the lowest since the deal began in January. The bearish compliance data comes a day after OPEC released its monthly report, showing production from the group rose further in July, led by gains in Libya and Nigeria, two members exempt from the cuts, and top exporter Saudi Arabia. OPEC and 10 producers outside the cartel, including Russia, agreed since the start of the year to slash 1.8 million barrels per day in supply until March 2018 in order to reduce a global supply glut and rebalance the market. However, so far, the deal has had little impact on global inventory levels due to rising supply from producers not participating in the accord, such as Libya and Nigeria, as well as a relentless increase in U.S. shale output. Oilfield services firm Baker Hughes reported Friday that its weekly count of oil rigs operating in the U.S. ticked up by three rigs to a total of 768 last week. The weekly rig count is an important barometer for the drilling industry and serves as a proxy for oil production and oil services demand. In the week ahead, market participants will eye fresh weekly information on U.S. stockpiles of crude and refined products on Tuesday and Wednesday to gauge the strength of demand in the world’s largest oil consumer. Meanwhile, traders will also continue to pay close attention to comments from global oil producers for evidence that they are complying with their agreement to reduce output this year. Gold closed down Friday on and made its intraday high of 1292.07/oz and intraday low of US$1281.18/oz. Gold up by 0.187% at US$1288.93/oz. Based on the charts and explanations above; sell below 1289-1311 keeping stop loss closing above 1311 and targeting 1278-1270-1264 and 1254-1249. Buy above 1278-1230 with risk below 1230, targeting 1279-1288 and 1296-1305. Silver closed up Friday on made its intraday high of US$17.18/oz and intraday low of US$16.87/oz. Silver settled down by 0.001% at US$17.09/oz. Based on the charts and explanations above, buy above 16.90-14.90 targeting 17.35-17.70 and 18.35-18.60; stop breakage below 15.00. Sell below 17.35-18.60 with stop loss above 18.60; targeting 16.50-16.00-15.60 and 15.30-14.90. Crude Oil on Friday made an intra‐day high of US48.96/bbl, intraday low of US$47.97/bbl and settled upby 2.396% to close at US$48.47/bbl. Based on the charts and explanations above; sell below 49.20-51.50 with stop loss at 52.00; targeting 48.50-48.00-47.50 and 47.00-46.10. Buy above 48.50-46.10 with risk daily closing below 46.00 and targeting 49.20-49.80 and 50.60-51.50. EUR/USD on Friday made an intraday low of US$1.1747/EUR, high of US$1.1854/EUR and settled the day up by 0.424% to close at US$1.1747/EUR. Based on the charts and explanations above; sell below 1.1840-1.2000 targeting 1.1800-1.1770-1.1720 and 1.1680-1.1620 with stop-loss at daily closing above 1.2080. Buy above 1.1800-1.1600 with risk below 1.1600 targeting 1.1840-1.1900 and 1.1980-1.2080. GBP/USD on Friday made an intra‐day low of US$1.2938/GBP, high of US$1.3030/GBP and settled the day by up by 0.285% to close at US$1.3012/GBP. Based on the charts and explanations above; short positions below 1.3000-1.3200 with targets at 1.2960-1.2900 and 1.2825-1.2760, breakage above 1.3300 look for further upside with 1.3400 as targets. 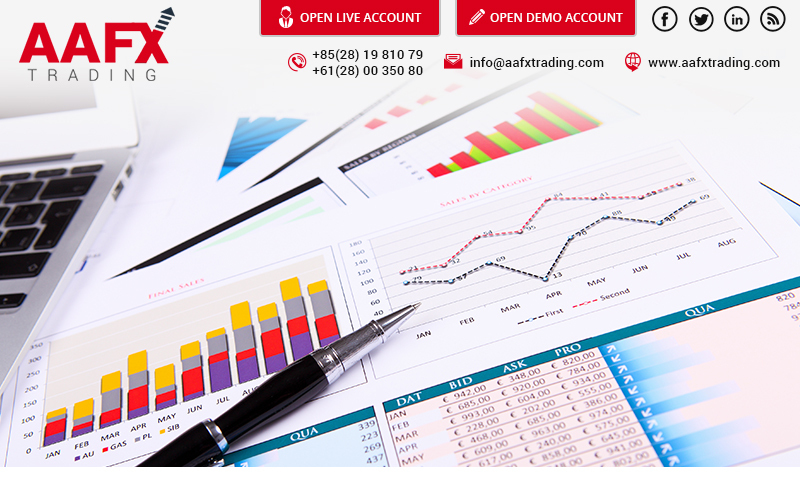 Buy above 1.3050-1.3300 with stop loss closing below 1.3300 targeting 1.3090-1.3140 and 1.3220-1.3300. USD/JPY Friday to made intra‐day low of JPY108.72/USD and made an intraday high of JPY109.39/USD and settled the day down by 0.054% at JPY109.18/USD.